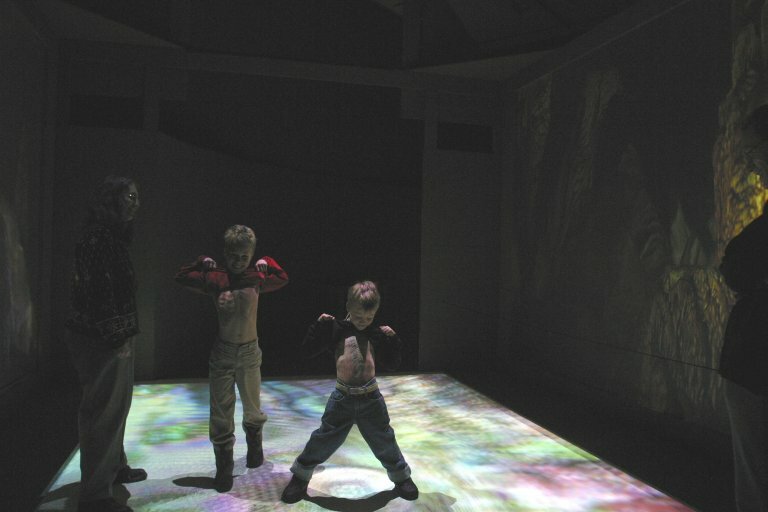 Images from Grotto, an artificial landscape by Bill Klaila. 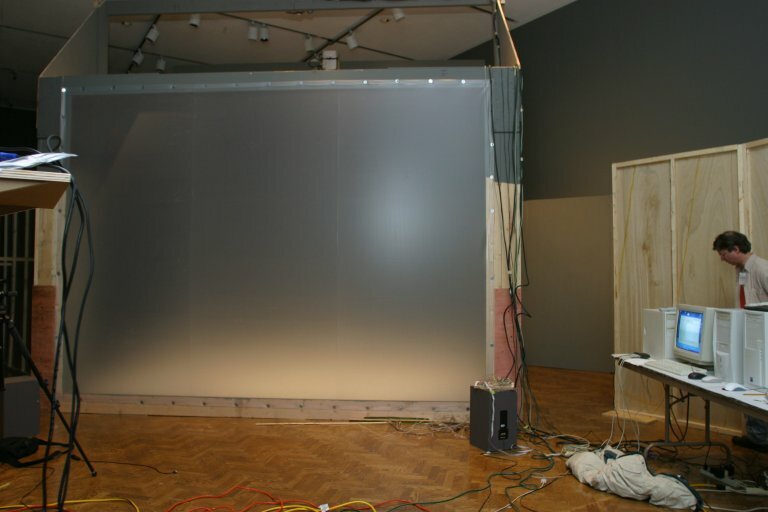 Grotto was on display at Minneapolis Institute of Arts in the spring of 2003. 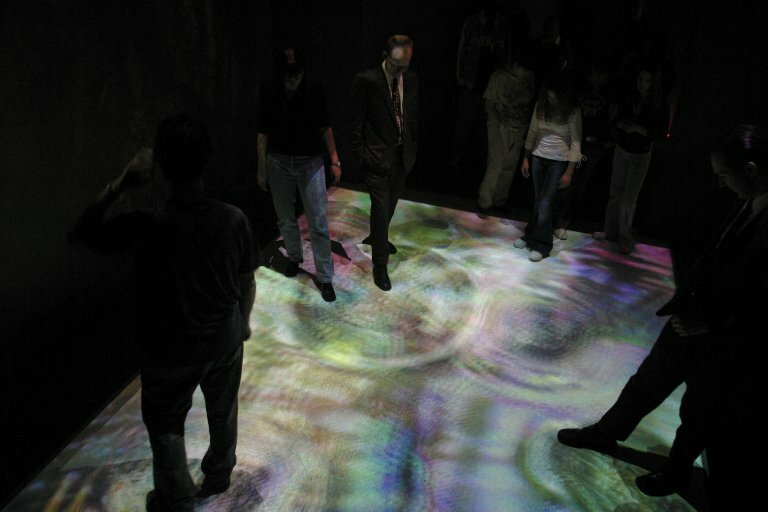 When you walk into Grotto, you enter an interactive computer generated world. As you step, water waves ripple at your feet. 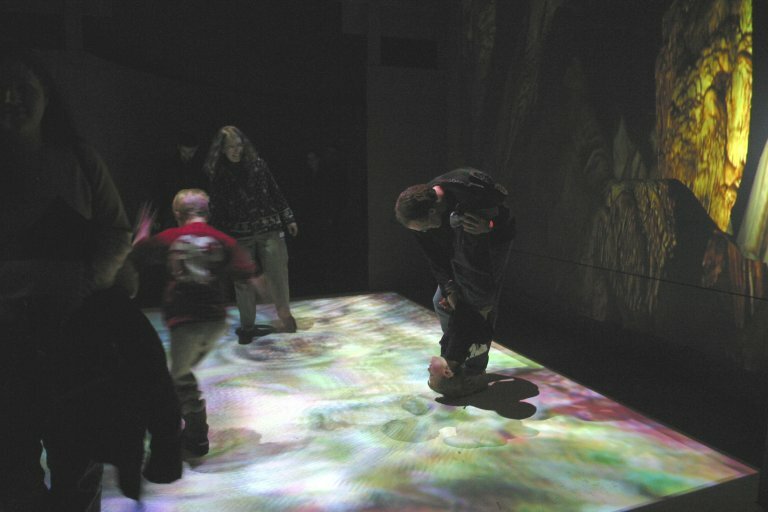 Grotto creates an immersive virtual landscape through projected computer graphics.